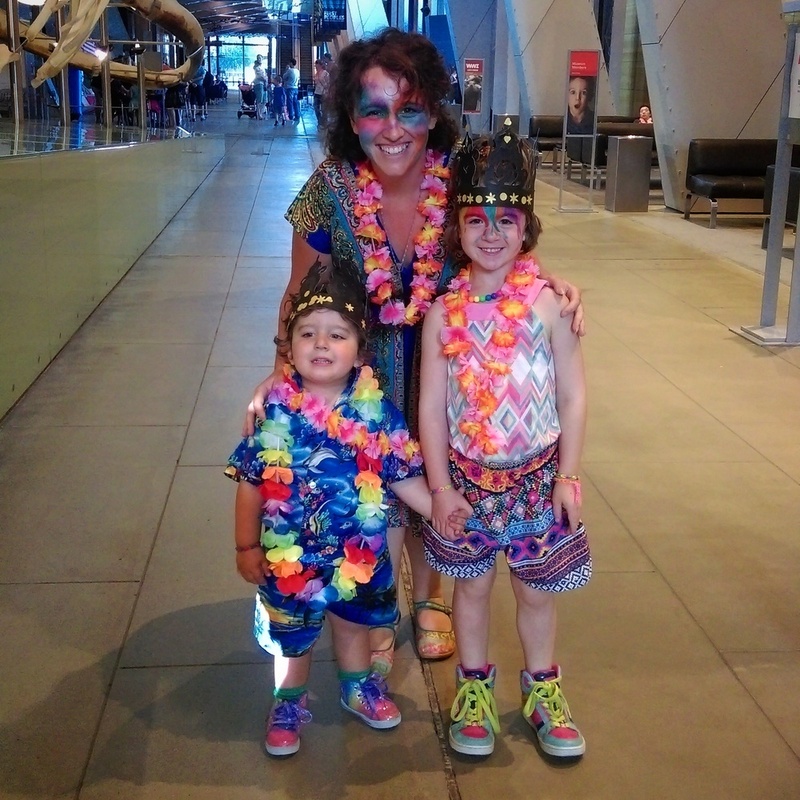 There's something a bit special about being at Melbourne Museum at night, last year Museum Members were treated to a dino disco and this year it was a rainbow summer party! 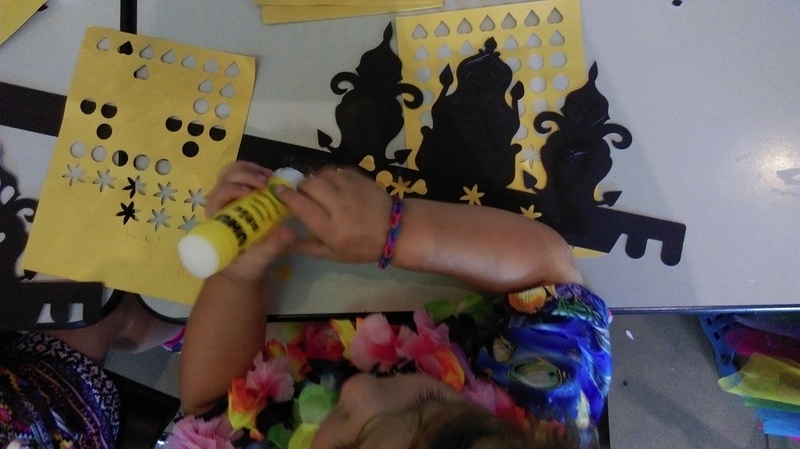 This was a fantastic free event for members to explore the exhibits after the Museum was closed to the public with lots of extra fun pop up activities for the family. Guests were given a lei as they entered and walked in to the the beat of a colourful three piece marching band. Inside a balloon twister delighted the kids and there was soon crowds of crafty kids making their own crowns and pteradon artwork. Dinosaur puppets were roaming about surrounded by squeals of (mainly) delight. 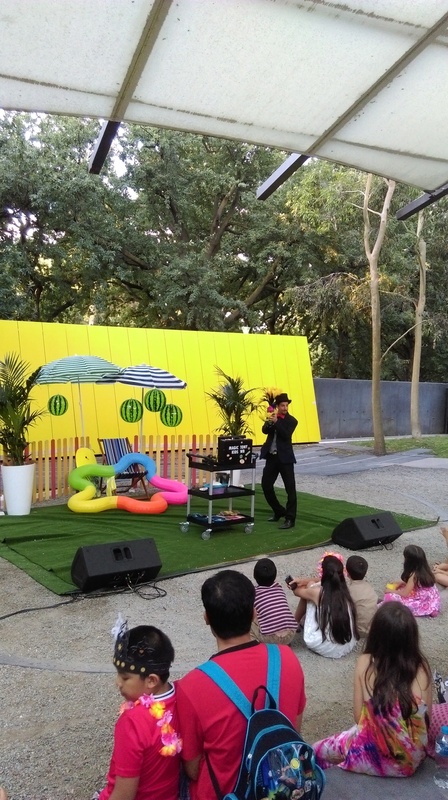 This event was also a rare chance to venture out into the outdoor auditorium and catch a magic show with some complimentary pop corn. The star of the show was the kids play space that will be closing shortly for massive renovations. It was announced at the party that there are plans for a disco room and a huge outdoor dinosaur dig as well as many other amazing new experiences. The new play space in the Pauline Gandel Children’s Gallery will be opening in December with another Members Only Event and we can't wait! Melbourne Museum is a fully accessible building with parents rooms and multiple change rooms. Parking is available on site for a cost (reduced for members).